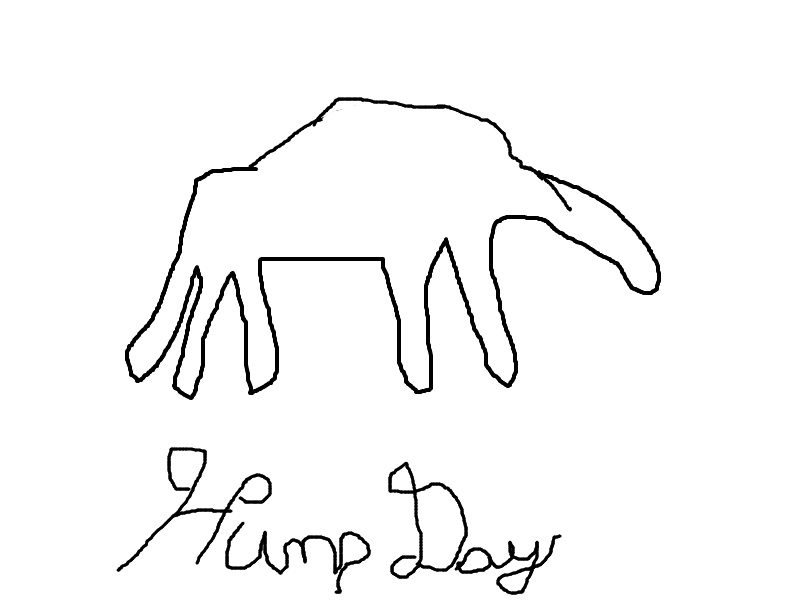 Did you know that every Wednesday is considered Hump Day? I knew it before working in my current classroom, but now, I really, really know it. 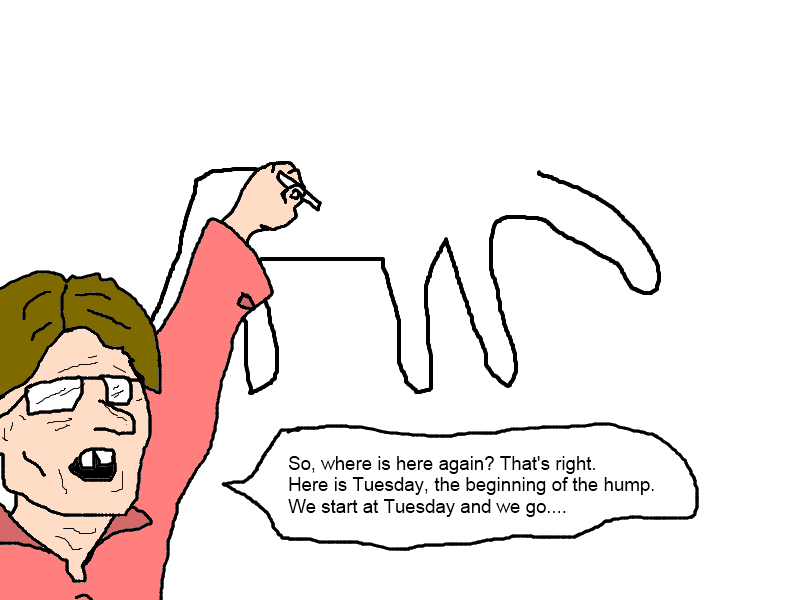 On Wednesdays, the teacher I aide, Ms.Pam, explains how Hump Day works. 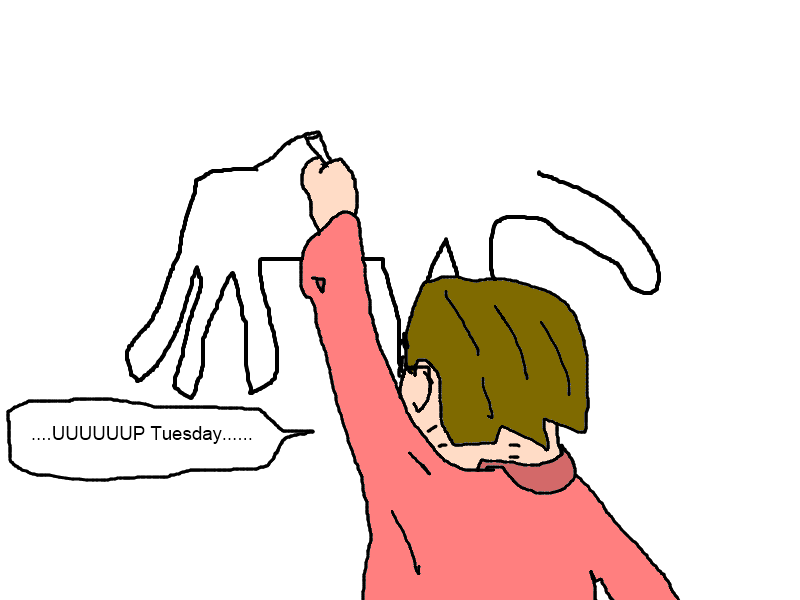 Sometimes she even draws a picture of something she says is a camel. When she gets to the crucial "hump" part of her phallic brontosaurus, she slows her drawing hand way down. Then she writes "Hump Day" under her camel, and everybody cheers. I used to cheer too, back in the first part of the year. 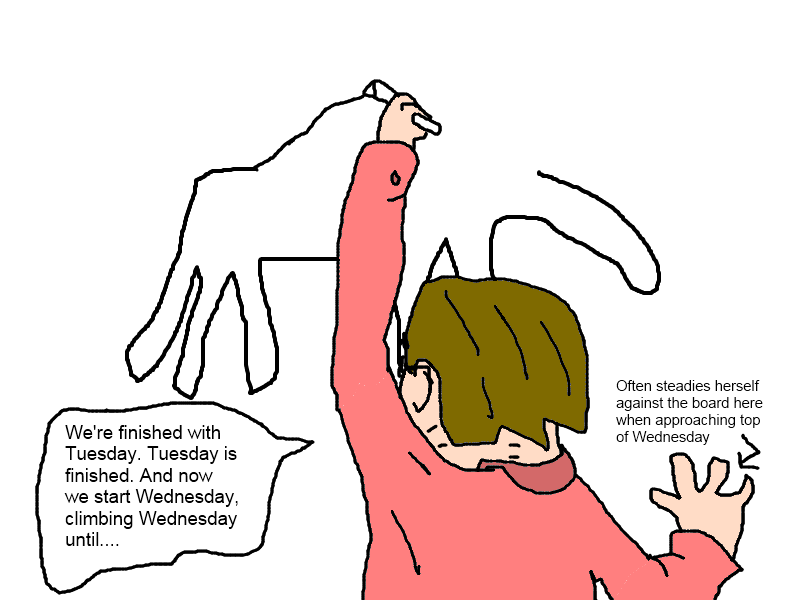 But after so many Wednesdays, I guess the thrill is a little bit gone. Poor Ms Pam wishing her life away and teaching everyone else to do it too, "Cha-chong" her cry of despair. Please resist her entreaties as an oddly wired agent of the reaper. Could hump day be curly fry day instead? That way everyone still dies a bit quicker and you don't have to endure the camel picture. I loved the detail of her steadying herself. However, I really love that despite where you thoughts take you, you remain fundamentally kind to this strange, challenging woman who would drive me absolutely nuts. Phallic Brontosaur is my wrestling name. Signature move = The Bronto-Chop, as demonstrated by Ms. Pam at the conclusion of her drawing. You ought to have that last frame published as a greeting card! My husband would like everyday to be hump day. Your blog poo is the bestest sweetest smelling blog poo ever. You're in hell, aren't you? I must say, I find a tiny sliver of hope in that fact, since clearly that means there is internet access in hell. Anyway, a fine post, as always. I feel as though I was there. Not necessarily somewhere I want to be, but still. Over most of the last five and a half years of semi-retirement the days of the week had absolutely no consequence to me. 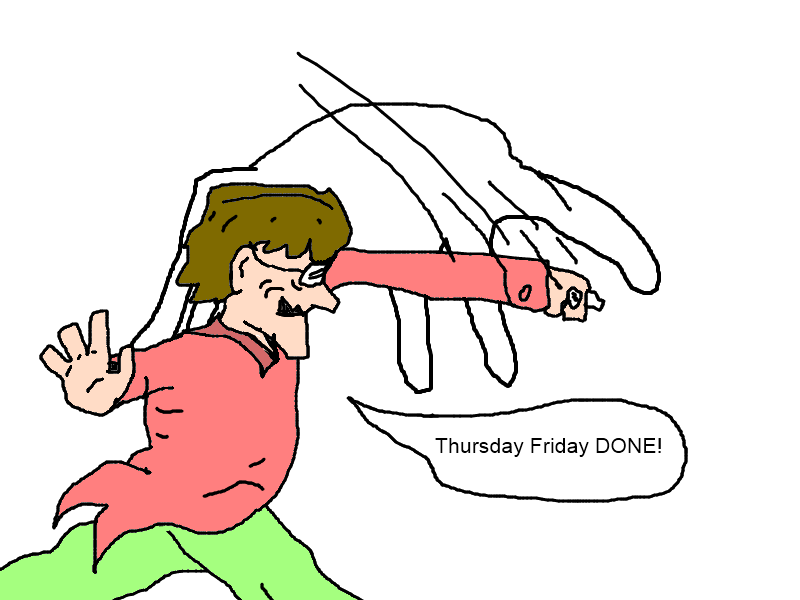 But now I have a weekly mopping deadline for one of my business locations, so I at least know when Tuesday is, the whole week revolves around Tuesday typicaLLy with teleBision as weLL but only for about a half of the year. I am wondering if I have a hump part of my days, months or years now instead of a week, curious concept. I think there are different parts of the year here when outdoor work is limited by heat and or cold for painting, as an eXample. Hump Day is the middle finger of the week.